Let’s get back to basics for a second. Some of you may recall that nostalgic dial-up sound when the Internet first came out. That sound was your modem waking up and connecting you to the internet. Like all technology, today’s modem has evolved and now provides you with a seamless connection. But what exactly is a modem? What does it do? A modem is a small box that connects your devices to the Internet using cables. 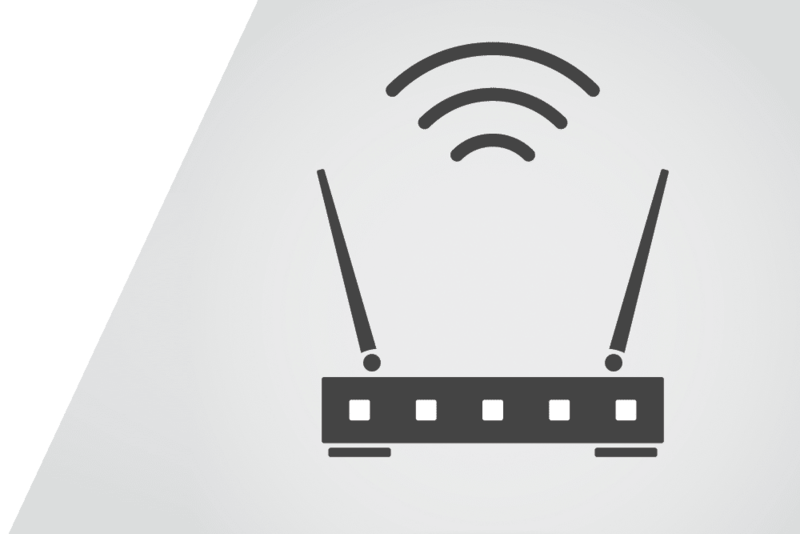 Unlike a router, a modem doesn’t provide your home with Wi-Fi connectivity. A modem acts as a digital translator, taking an information signal from your cable, fiber or phone lines and making it accessible to your computer. There are three types of modems: cable, digital subscriber line (DSL) and dial-up. A cable modem uses coaxial cables that connect to the back of the modem and the bolt-like outlet in your wall or on your cable box. This type of modem delivers high speed internet to your device. DSL and dial-up modems use a cable that connects to your phone line. DSL, however, still allows you to use your landline telephone while connected to the internet. Fiber-optic technology doesn’t require a modem for its Internet service. A modem is a small box that connects your devices to the internet using cables. A modem can work independently through a wired connection to your computer or other device. It can also be paired with a router, which provides your home with Wi-Fi connectivity, bringing the Internet wirelessly to devices throughout your home. Since modems and routers play nicely together, there are also modem/router combo devices, called wireless gateways, for a simple and compact home network. Have questions about routers? Have no fear, click here [Insert link to “What is a Router?” article] for must-know router information. What Modem is Right for You? Now that you’re comfortable with what a modem does, you have to decide which one fits your needs. Some things to check before buying include: compatibility to devices, download speeds, security, and, of course, price. Upload and download speeds also vary between modems. If you’re frequently uploading videos or pictures to the internet or downloading movies and music, choosing a modem that supports faster speeds will save you some time and frustration. Modems also provide some degree of security so you can feel secure as you browse. Specific security information can also be found on the box or online description of a modem. Modems can be purchased from many online retailers such as Amazon or in stores like Best Buy. Depending on the specifications listed above, modems can be priced anywhere between $10 and $200+. Some internet service providers also allow you to rent modems and other devices for a monthly fee. Your internet service provider can help you determine what kind of modem best suits your needs and works best with your provider’s internet speeds.